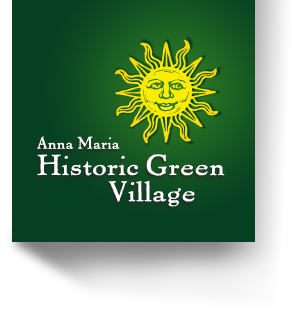 Anna Maria Historic Green Village (HGV) is a unique, sustainable commercial development in Anna Maria, Florida. The village is comprised of five buildings, four of which are renovated historic buildings and one which is new construction. The campus is a mix of retail spaces, office and residential units. One of the HGV developer’s goals is for the entire campus to become the first Zero Net Energy and Platinum LEED certified campus in Florida. 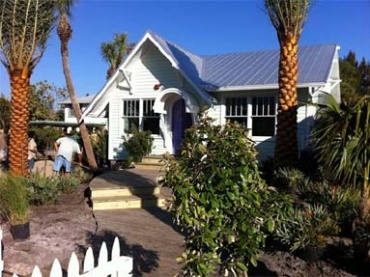 Despite a significant investment in energy efficiency and renewable energy generation technologies, the Historic Green Village was initially not meeting its goal of net-zero energy consumption. The challenge was that energy demand in the Café was higher than anticipated. The HGV team decided to invest in the SiteSage platform in order to diagnose their energy issues and reduce overall energy consumption and costs. Powerhouse Dynamics’ SiteSage gave the design team invaluable insight by providing real-time circuit-level consumption data. SiteSage revealed that the largest energy users in the HGV Café were their two air conditioners, the refrigerated display case, several other refrigerators and freezers, and the Espresso and coffee machines. In the first few days of operation, the HGV team discovered that an air conditioning compressor was unexpectedly cycling on and off due to an improperly programmed HVAC control sequence. Typically, this type of problem would have gone undetected for a long time. Identifying and correcting this sequence of operations alone paid for HGV’s investment in SiteSage. With the help of SiteSage, the HGV team also determined that the refrigerated display case was causing an energy “vicious cycle” in the Café. The rejected heat from the refrigerator’s compressor was causing the Café’s air conditioning units to work overtime at night. The team added a thermally insulating “night blanket” to the refrigerated display case to reduce the off-hours excessive energy consumption. With SiteSage, the team measured a 25% reduction in power consumed by the display case once this corrective action was taken. By drilling down in the SiteSage dashboard, the HGV team discovered excessive off-hours energy consumption in many of the smaller kitchen appliances. For example, SiteSage showed that coffee and espresso machines were frequently left on all night long, consuming electricity and generating unnecessary heat. Once this issue became visible, the staff installed a number of low-cost power strips with timers to ensure these power-hungry devices were not inadvertently left running during off-hours. 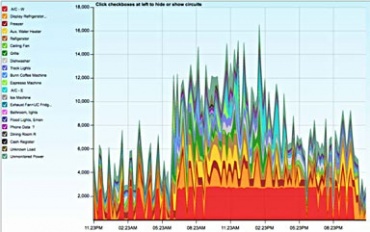 In addition to the higher-than-anticipated overall usage of electricity, the HGV team discovered that the utility was charging a significant “peak demand fee” each month because several of HGV’s largest electrical loads would be running at the same time. To minimize the demand charge, the team initially focused on the coincident demand of their air conditioning units, which were coming on within the same 15 minute time period. By analyzing the demand within 15 minute windows, the HGV team chose to re-program the thermostats to stage when the air conditioning units came on. This action, plus a few others, enabled HGV to keep their campus electricity peak demand below the threshold over which the utility charges demand fees. Overall, this helps HGV avoid over $2,000 in peak demand charges per year. 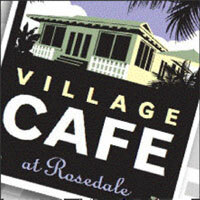 The Historic Green Village’s Cafe has a solar thermal system to reduce electric demand for making hot water. Almost as soon as it was installed, SiteSage revealed that the auxiliary electric water heater was working far more than expected. This unexpected demand for auxiliary electric water heating led the team to discover that the solar thermal plumbing had been inadvertently installed backwards. The result was that nearly all the hot water demand for the Café was being supplied by the electric hot water system instead of the solar thermal system. 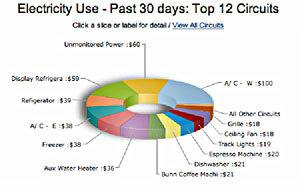 Once the plumbing issue was corrected, the electric hot water consumption was sharply reduced. By using SiteSage to help identify and eliminate excessive energy consumption in their commercial facilities, the HGV team was able to achieve their goal of consuming less energy than their solar array was producing. SiteSage has proven itself to be an invaluable tool in monitoring, managing and controlling energy consumption for the Historic Green Village. SiteSage’s ability to provide real-time data was essential in reducing overall consumption as well as helping to avoid over $2,000 per year in peak demand charges. With the help of SiteSage, the HGV team was able to achieve their goal of Net Zero Energy consumption for their entire campus. In fact, the Café – originally the most challenging building in terms of high energy consumption – was recently awarded LEED Platinum certification in recognition of its substantially-reduced energy usage.